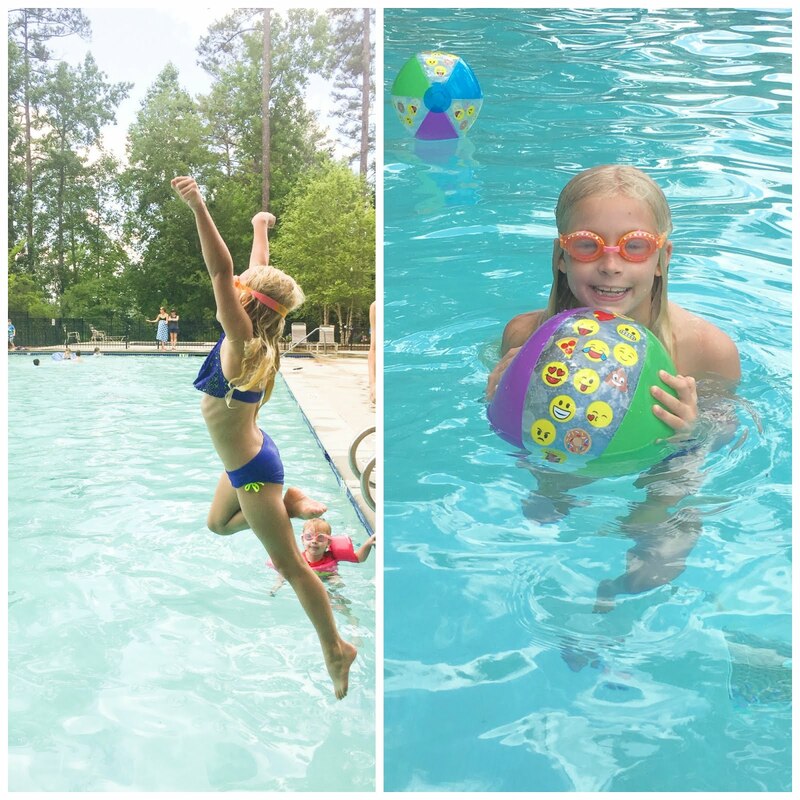 Does anyone else feel like summer break is flying by? It practically just started, but we've been so busy that we haven't had a moment to just relax and have some fun. We're fearful that before we know it, back-to-school stuff will be gearing up. 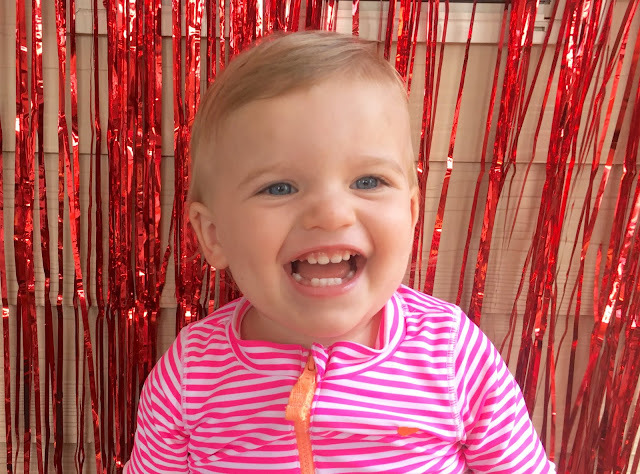 Last week we finally got a chance to get our schedules aligned for some summer fun and we planned a super fun and super easy party to celebrate! 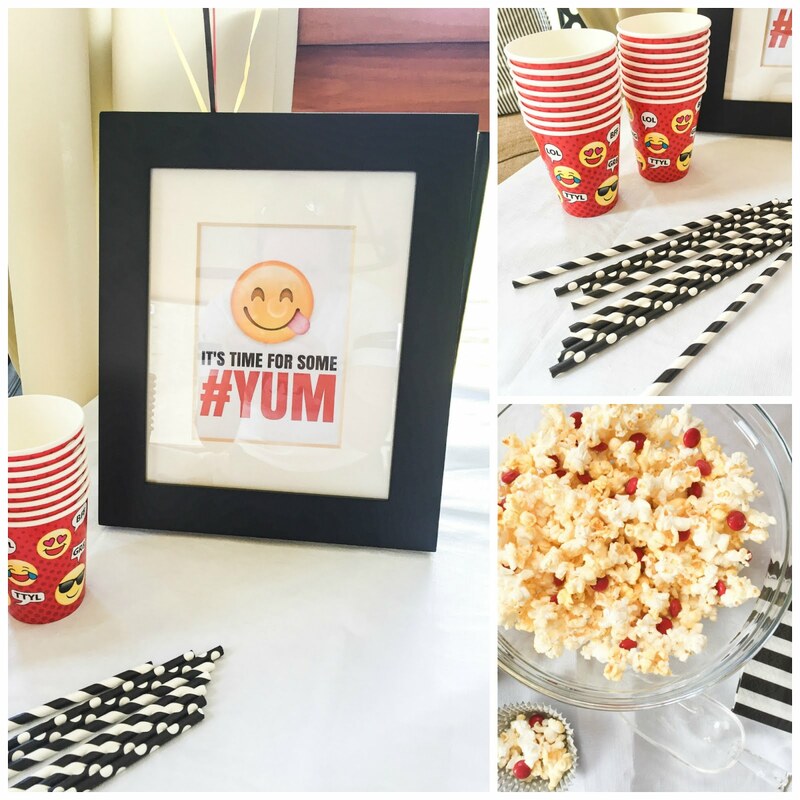 We picked a sunny day, a fun theme, and we were ready to celebrate all that summer is about. Our kids are emoji obsessed right now and with the new Emoji movie coming out at the end of the summer we knew a #2COOL4SCHOOL emoji party would be all kinds of fun. Before the swimming began we set up a fun photo booth with props and let the kids go to town. They were hilarious with what they picked and were all begging for a turn to be the one who got to snap the photos. Even sweet little Baby Cute wanted a chance in the photo booth! Just look at how much fun she thought it was! In addition to the regular photo booth we had some other fun goodies for the kids. 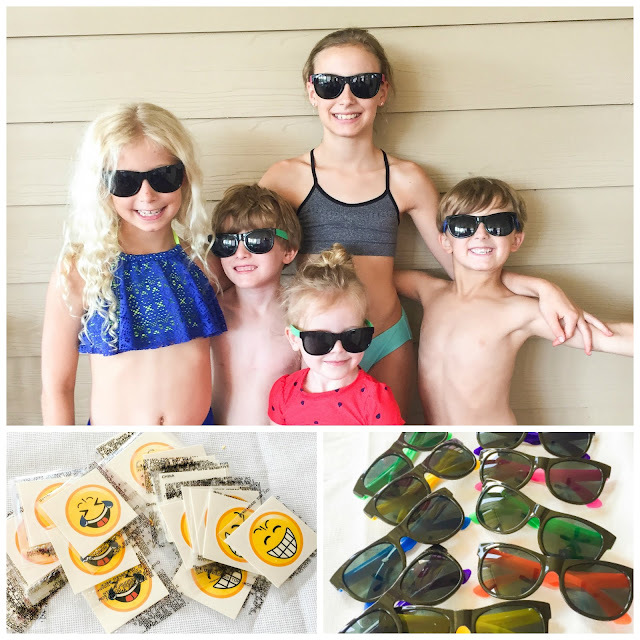 The sunglasses and temporary tattoos were a hit! Our snacks were simple, but perfect to fuel them up right before they burned tons of energy swimming and splashing the afternoon away. 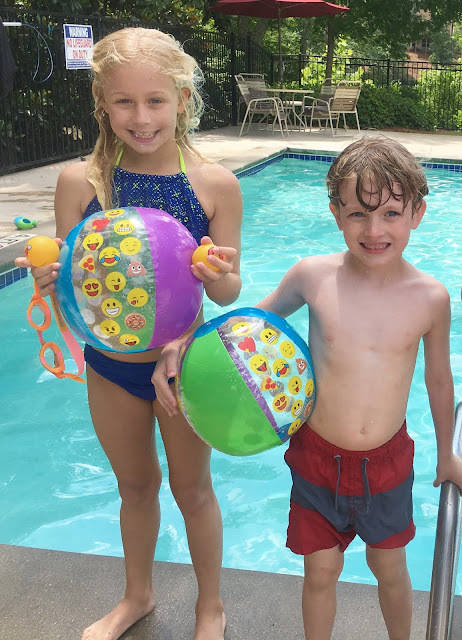 They couldn't get in the pool fast enough and had so much fun with the emoji beach balls and squirters. We just love all of their creativity and the games they came up with using these simple, yet fun toys. The details for this party were so fun, and so suited to this generation. Oriental Trading is our go-to place for party necessities and they had a ton of fun emoji themed items for this occasion. 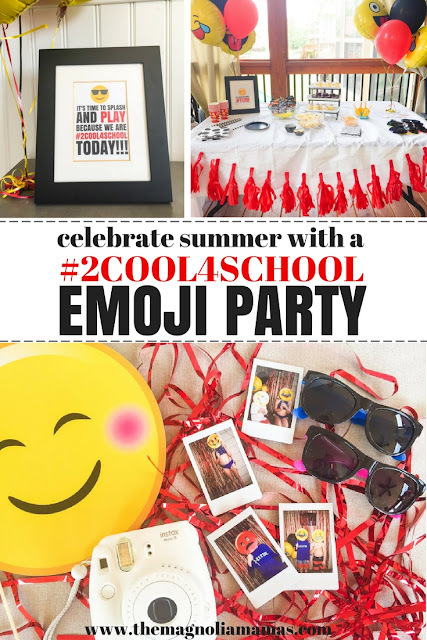 The printables we created for this party were super easy, but thought it would be fun to share with anyone interested in hosting their own emoji themed end of school year party. Enjoy! This is so cute! I have promised my girls they could do a back to school party at the end of summer and while I don't want to think about that I do think this would be cute to use! They too love emojis!